Pinterest is a great site to gather ideas-especially for food. 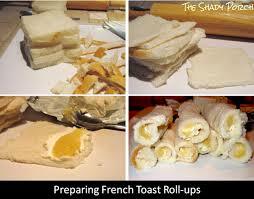 Add some warm syrup to the roll ups and you are good to go! on a classic favorite. In my opinion, it’s a way to indulge, but not feel bad about your decision TO indulge, ya know? Also, for those with young ones at home, or those that may not get in the kitchen often, this is a great dish to make because of its simplicity and presentation. 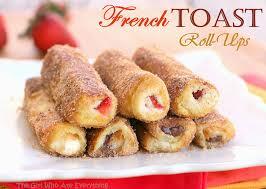 Give French Toast Roll-ups a try for your next breakfast, brunch, or snack! Here’s the process for making these delicious roll ups.